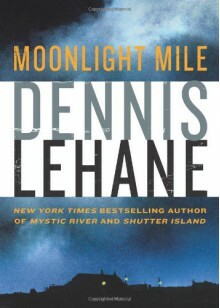 Acclaimed New York Times bestselling author Dennis Lehane delivers an explosive tale of integrity and vengeance—heralding the long-awaited return of private investigators Patrick Kenzie and Angela Gennaro Amanda McCready was four years old when she vanished from a Boston neighborhood twelve years ago. Desperate pleas for help from the child's aunt led investigators Kenzie and Gennaro to take on the case. The pair risked everything to find the young girl—only to orchestrate her return to a neglectful mother and a broken home. Now Amanda is sixteen—and gone again. A stellar student, brilliant but aloof, she seemed destined to escape her upbringing. Yet Amanda's aunt is once more knocking on Patrick Kenzie's door, fearing the worst for the little girl who has blossomed into a striking, clever young woman—a woman who hasn't been seen in weeks. Haunted by their consciences, Kenzie and Gennaro revisit the case that troubled them the most. Their search leads them into a world of identity thieves, methamphetamine dealers, a mentally unstable crime boss and his equally demented wife, a priceless, thousand-year-old cross, and a happily homicidal Russian gangster. It's a world in which motives and allegiances constantly shift and mistakes are fatal. In their desperate fight to confront the past and find Amanda McCready, Kenzie and Gennaro will be forced to question if it's possible to do the wrong thing and still be right or to do the right thing and still be wrong. As they face an evil that goes beyond broken families and broken dreams, they discover that the sins of yesterday don't always stay buried and the crimes of today could end their lives. I just couldn't get into this one. The plot isn't terrible, but it just feels like Lehane is tired of these characters and it shows in the writing. Not terrible, but you won't be missing anything by skipping it.